Snack packaging gets a second life as wonderful papercraft thanks to a Japanese art student. Harukiru, a student at Kobe Design University, makes these striking sculptures by cutting up the packing with scissors or a blade. 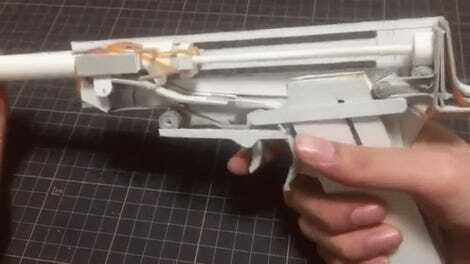 Kotaku previously featured his paper gun that shoots wooden bullets. These days, he’s best known for his snack packaging sculptures. 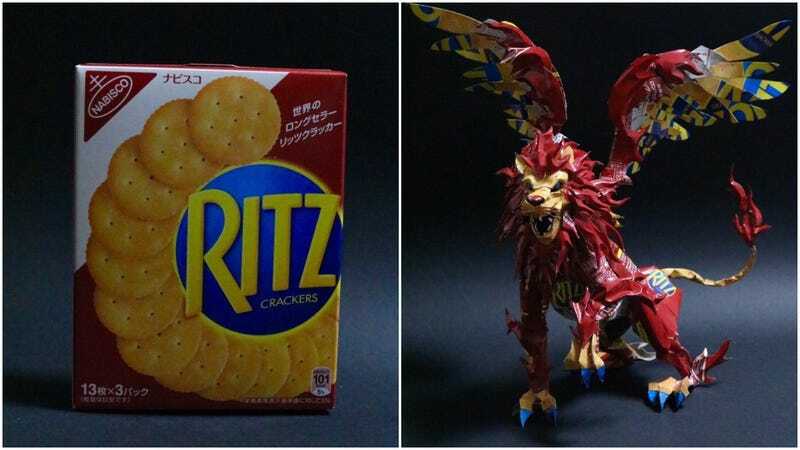 The above Ritz Cracker lion took three days to finish! When asked if he ate all the Ritz crackers, he replied that he has a long battle ahead of himself. The way Harukiru sees papercrafts in packaging is remarkable. The sculptures are so detailed. What makes his art so interesting is that sometimes the sculpture is a riff on the product name. For example, the name of these cookies is Koala’s March. Be sure to follow Harukiru on Twitter for more incredible papercrafts.